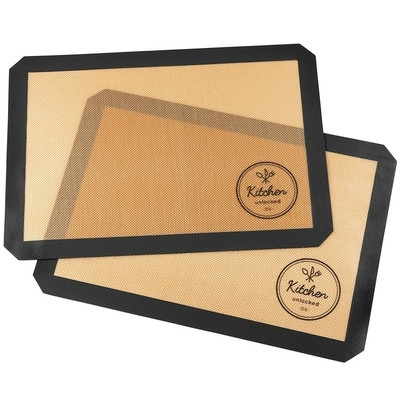 The baking mat is made of silicone. It's eco-friendly and safe. Different size for choices. Price includes 1 color 1 side 1 location screen imprint. Welcome inquiry.